And a few stray thoughts and observations for yet another Valentine’s Day. For a Valentine’s Day which brings back memories when love was not commercialised. For a Saturday following the week when the armed forces could not defend Defence minister Manohar Parrikar against the Election Commission. For a Saturday following the week when all the candidates were nervous about the tampering of the ballot boxes which have been kept in strong rooms. For a Saturday following the week when I discovered that the Deen Dayal Swasthya Seva Yojana (DDSSY) is a joke and a farce. For a Saturday following the week when I discovered some deadly facts about malaria. And a few stray thoughts for Valentine’s Day. There was a time when Valentine’s Day was a simple, sincere and romantic affair. All it involved was the exchange of roses or having an ice cream together. Now it has become a multibillion dollar industry thanks to Hallmark and the hospitality sector. Valentine’s Day means buying expensive cards. You no longer buy a single red rose, the prices of which shoot up on this day; you are expected to present a huge bouquet of roses. If you are from the middle class or earning well, your girlfriend will expect gold jewellery. VALENTINE’S day means a romantic dinner in a five-star hotel with heart-shaped red cakes, or chocolate cakes if your loved one is a chocolate junkie. There are also dining options. You can join the aam janta and dine with other couples in a coffee shop or restaurant where buffets are served, or you can dine in an expensive speciality restaurant and have a candle light dinner. If you want a unique experience and have deep pockets, you can have an exclusive cabana, an exotic tent on a beach, with a personal butler for `1 lakh. The only risk you run is being bitten by a mosquito and spending the next two weeks in a hospital. Valentine’s Day always reminds me of old English and Hindi songs. Not songs like Ae Dil Hai Mushkil, but songs from Raj Kapoor’s classics like Awara or the popular songs of Dev Anand in the film Jewel Thief. My all-time favourite is Cliff Richard’s Young Ones. And a few stray thoughts on the defence forces being unable to defend Defence minister Manohar Parrikar against the Election Commission. When Delhi chief minister Arvind Kejriwal was campaigning in Goa, he told the voters to take money from every party but to vote only for his Aam Aadmi Party (AAP). The EC did not take very kindly to his statements and issued a show cause notice. Since Kejriwal thinks he is a hero, he repeated his statement. The EC asked him to give an explanation. When he failed to do so, the EC ordered the filing of a first information report against him. OUR own Manohar bab thought he was more shano than Kejriwal. In Chimbel, he told the people it was fine to take `500 from AAP to attend the rally but they must vote for the Bharatiya Janata Party (BJP). The truth is that the BJP has been paying even more money to bring people to rallies addressed by party president Amit Shah and prime minister Narendra Modi. Voters in chief minister Laxmikant Parsekar’s constituency were paid `1,000 each, according to a Mandrem resident. Special busses were organised even though Parrikar claimed that the workers would come on their own. Besides the `2000, all those willing to attend the rally were given snacks and biryani. The young leaders were later given beer. The largest number of people who attend rallies of all political parties in Goa are migrant labour. In every rally addressed by senior party leaders like Modi, Amit Shah, and Rahul Gandhi, the majority of the audience were women. MOST women working as construction labourers or in the unorganised sector are unemployed because of notebandi. They are happy to receive the `2000 note or even the new `500 notes. There is no shortage of these notes but all have been grabbed by politicians. I know of at least one senior Catholic politician from the South who paid a leading English newspaper `10 lakh in new `500 notes. The agents who organised the women volunteers are paid `5000. The EC is not happy with Parrikar’s remarks. Unfortunately for him, rivals taped his speech and presented it as evidence to the EC. Parrikar tried to argue that the tape was tampered with and he had been misquoted. The EC replied that the tape was very clear and loud and Parrikar had certainly made the remarks attributed to him. By the time this issue is resolved, Parrikar will probably find himself arrested for violating the Code of Conduct despite being a minister. This would set a very bad example, but his ego is so big that he will probably not care, as he, like Modi, thinks that he knows everything and is the only clever politician in India. AND a few more stray thoughts on the political parties and candidates becoming increasingly nervous about the results. The results have been sealed in electronic voting machines (EVMs) which are stored in strong boxes in Panjim, Margao, and other places. In Panjim, the EVMs are stored in Bal Bhavan. The rooms are locked, and all candidates have put their seal on the lock. There are armed policemen outside the locker rooms and police are guarding the corridors and entrances. The buildings themselves are surrounded by policemen. There are three layers of security guards including central security forces. Yet, despite all this security, candidates do not trust the BJP because it has a record of tampering with ballot boxes. It is easy to fix an EVM. If you are a good computer mechanic, you can wipe out or delete all votes for the rival candidates. As it is, many of the EVMs used in this election were faulty. The officials were not properly trained. In some of the EVMs, the symbols and names of many of the candidates were missing. In a polling station in Aquem in Margao, it was found that the polling officer had not reset the machine after the test run. During the test, more than 50 votes were registered. The EC cancelled the election in that booth and held fresh elections on Tuesday. The leaders wanted to go on a holiday as the results will be announced on March 11. This is why the Reserve Bank has fixed March 13 to withdraw all limits on cash withdrawals. In the meanwhile, the limit has been increased to `50,000 per week. The RBI is afraid that politicians will withdraw money to bribe the police guarding the EVMs to defeat their rivals. Candidates in Goa are not taking any risks. They have formed teams and are guarding the rooms and the building in which the results of their candidates are lying sealed to ensure that nobody tampers with them. This means extra expenditure for the candidates, who must pay the volunteers and supply them with breakfast, lunch, tea, snacks and daaru at the end of duty. The ban on booze has been lifted and tourists have started flooding the hotels again. AND a few stray thoughts on my encounter with Parrikar’s drone disguised as a mosquito. I cannot honestly assert where I got bitten. It could have been in Baga, in a very famous restaurant when I had dinner on the beach. It could have been in a five-star hotel where I had dinner two weeks ago where the staff took their time in placing mosquito coils under the tables. It could have been a week later when during a brief holiday in the hotel after the campaigning was over on Thursday, I took a walk alongside the wall which separates the hotel from the beach. But I do know that no place in Goa is free of mosquitoes. Even if hotels and individuals keep their own property clean, they don’t bother about the neighbourhood. For publicity, hotels will clean the beach once a year and send a photograph to all the papers. The rest of the year they will not bother. The same is true with the street. The inside of every house – even in a place like Dempo Bhat where migrants stay – includes trainees of five-star hotels who are paid `1000 per month. The rooms are very clean. The lanes outside are full of garbage. Everybody’s property is nobody’s property. The municipality and health officials may deny it, but the fact remains that cases of malaria and dengue are very high in Panjim because a lot of construction activity takes place and people in gated colonies do not change the water in their plant pots which creates breeding grounds for mosquitoes. Close to our office is a posh building called Yashodhan with a water tank only for the watchman or servants. Even when it is full, it is never put off. This creates stagnant pools of water. It is not true that mosquitoes bite only around sunset. There are deadly species that bite throughout the day. If your hands or feet tremble and you have fever and joint pain, the first thing you must do is to get a blood test, done for free at the Urban Health Department on 18 June road. THE problem is this test must be done when you have fever, and very often you need repeated tests. You are lucky if it shows you have malaria vivax, a relatively mild form which can be treated within five days. However, if untreated, the parasite can remain in the liver for six months to a year. A niece studying medicine in the United States visited Bombay and was probably bitten then. Unfortunately, the symptoms manifested after six months. 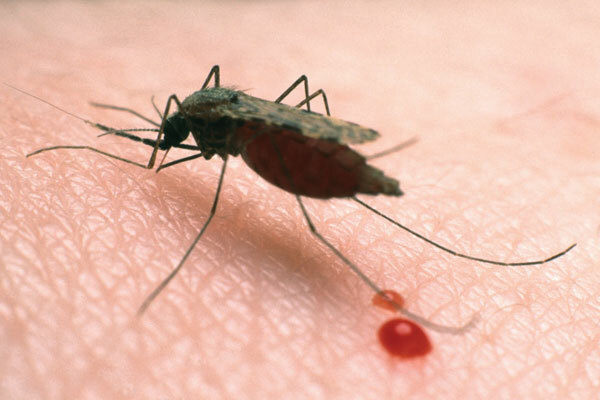 Most doctors in the US know nothing about malaria as there are no malaria cases there. They thought that she was suffering from cancer. Fortunately, an Indian doctor asked her if she visited India and suggested a malaria test. This is how persistent malaria can be in the body. If you have the more serious strain called Falciparum, you are in trouble. If left untreated in the early stages, it can prove fatal. Falciparum affects the respiratory system and can cause extensive damage to the liver and lungs. You must go to a hospital with a ventilator to aid your respiratory system if need be. I have known of several patients in Goa with Falciparum who have been kept in nursing homes without ventilators purely to save money resulting in the death of the patient. The problem is the lack of accountability. In the US, if you can prove that you got malaria in a five-star resort, you can take the hotel to court and ask for damages of four million dollars. In India of course they don’t even admit to the problem. When I suggested to the general manager of the hotel where I ate dinner that he should insist that both residents and guests wear long trousers and shoes to avoid exposing their pretty legs to the mosquito, he thought I was joking. The joke will be on him if his wife or one of his high-profile guests wearing a mini skirt or swimming costume gets bitten by a mosquito. The mosquito does not know any class distinctions. It treats the poor and the rich alike. And a last stray thought for yet another Saturday. For a Saturday following the week when we discovered that the DDSSY scheme is a farce. It is an insult to the memory of BJP founder Deen Dayal. No hospital is willing to accept DDSSY cards for outpatients. The scheme does not cover conditions like malaria, dengue and other such fevers which are common among the poor. Nor does it cover procedures that do not require hospitalisation. Even if you are admitted to the hospital or in the intensive care unit, the card will not pay for your expenses until the insurance company gives the green signal. The insurance company has stopped giving the green signal as the government has not paid the rest of the insurance. Only 10 per cent of the insurance amount has been paid. The government owes it more than `200 crore. Since hospitals have not received the money from the insurance company, they do not want to treat new patients. In any case, the insurance contract expires on March 31, 2017. So you may as well go to the residence or office of the Health minister or the director of Health Services, return the card and demand your money back.